For posh shops (Marks and Spencer and Waitrose), show the single most expensive purchase; for cheap shops (Aldi) show the single cheapest purchase; otherwise show the average purchase value. 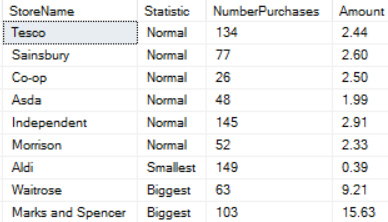 The table should also show which statistic you've chosen to display, as well as the number of purchases made in that store. 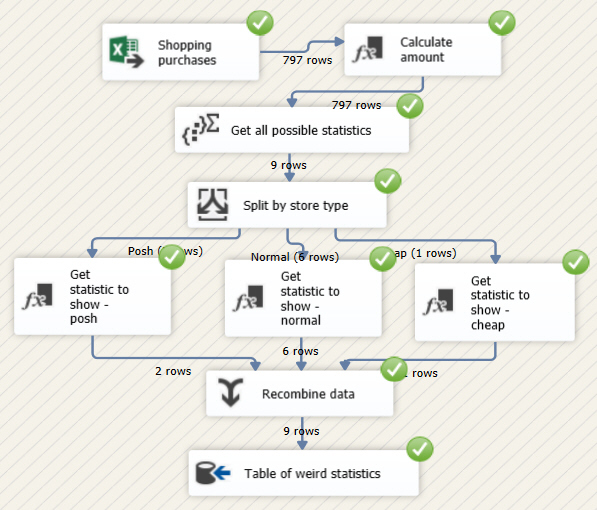 If you're feeling confident, try doing this without reading on to see a suggested flow diagram. One possible answer (but not necessarily the best one!). When you've got this working, close down the package.